Act4Africa’s Ugandan team is based at Kathy’s Centre in Mayuge, Eastern Uganda. 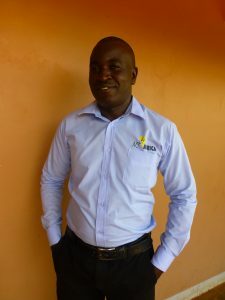 Patrick is the General Manager for the Act4Africa Uganda team. Having lost a lot of family members as a result of the prevalence of HIV and AIDS, Patrick is glad that through his work with Act4Africa he is able to help others who have been affected, by lifting their hopes and helping to improve their welfare and financial situations. Patrick hopes to see Act4Africa become a household name, and that it will continue to improve the health education and livelihoods of people in the region. 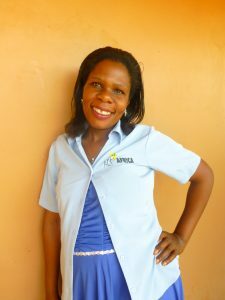 Daisy is a Field Officer in Act4Africa’s Uganda team. She is dedicated to helping others, and values that her work with Act4Africa allows her to reach out to those in need and play a part in improving their lives. Within her role, Daisy has developed skills in counselling and drama as well as learning to drive, and has managed to vastly improve her own standard of living. She is hopeful that the charity will be able to launch income-generating projects in the near future to ensure sustainability, and that its reach might expand to more districts and countries in need of help. 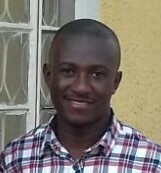 Moses is the Programme Coordinator for the Act4Africa team. He values his career progression within the charity and enjoys the responsibility the role affords him for helping others. On a more personal note, Moses gives some of the credit for his happy family to the charity, as it was while he was on duty at a local school that he met his wife. He hopes that Act4Africa receives enough funding in the future to expand its scope to the rest of Uganda, and positively impact the lives of even more young people in need. 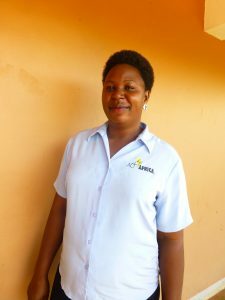 Martha is the Financial Controller of the Act4Africa Uganda team. Through her role with the charity, she has learnt many new skills and gained exposure to lots of different experiences. Assisting with the acquisition of the land for Kathy’s Centre was a particular highlight in Martha’s career, and she hopes that the charity will be able to expand its unique approach to more districts in Uganda in the future, and change even more lives for the better. 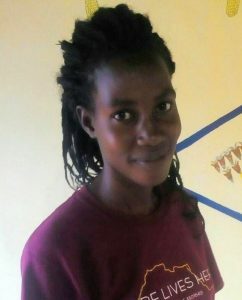 Harriet is a Field Officer for the Act4Africa Uganda team. Working for Act4Africa has allowed Harriet to realise her potential and develop her professional abilities, and she is glad that this enables her to have a positive influence on others within her community. She takes joy in seeing how her work within the charity impacts lives for the better, and looks forward to improving the wellbeing of many more in the future. Moris is the Business Manager at Kathy’s Centre. Through his work within the charity, Moris has greatly valued being able to make a difference to his community, especially the younger generation. Working with Act4Africa, he has managed to become self-sufficient and has also met lots of people through networking that he considers very important to him. As well as his personal development, working with Act4Africa has also helped Moris with his professional career development, and he hopes to see the charity grow in its impact and reputation around the world. 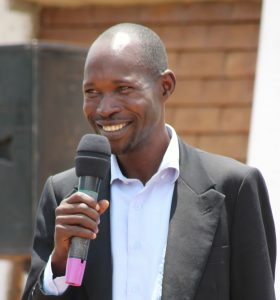 Basil is the Head Teacher at Kathy’s Kindergarten, he has a Bachelors Degree in Teacher Education specialising in Early Childhood Development. Kathy’s Kindergarten has enabled Basil to put his years of experience teaching in primary schools and teacher training colleges to good use. 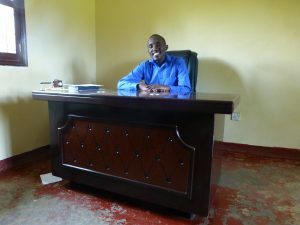 He hopes to help Act4Africa expand its Early Years Education to other districts in Uganda in the future. Jennifer is the Deputy Head Teacher at Kathy’s Kindergarten, she has a Bachelors Degree of Arts in Child Development. Jennifer has a passion for children and is excited about Kathy’s Kindergarten giving her the opportunity to be directly involved in having an impact on the lives and futures of the next generation. Grace is a Classroom Teacher at Kathy’s Kindergarten with a Certificate in Early Childhood Development. 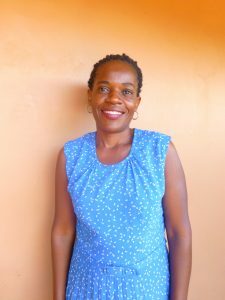 She has much of experience in teaching at nursery level and hopes to develop her skills through the innovative teaching and learning experiences provided by Kathy’s Kindergarten. 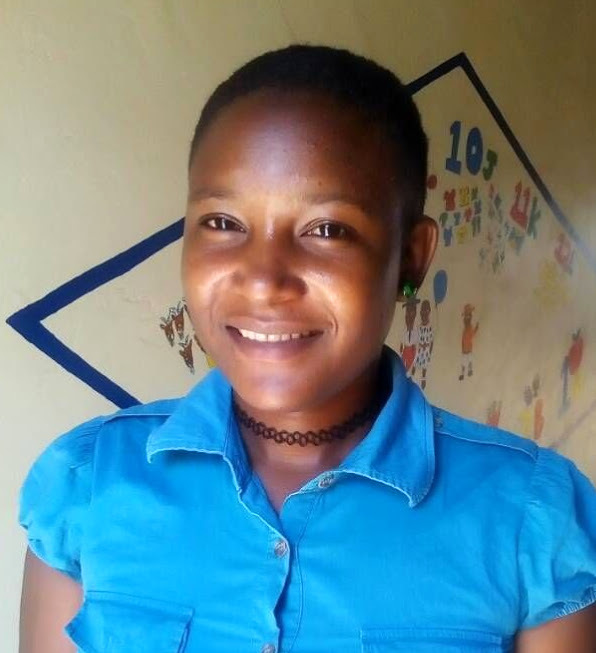 Safia is a Classroom Teacher at Kathy’s Kindergarten with a Certificate in Early Childhood Development and great experience in teaching at nursery school level. She was attracted to work for Act4Africa by the unique approach of Kathy’s Kindergarten and hopes to acquire new knowledge on how to help children develop holistically.